The rapid adoption of the connected devices that comprise the “Internet of Things” (IoT) has brought new opportunities to all sectors of the US economy. But IoT also raises important cybersecurity and data privacy questions for companies th manufacture, use, or otherwise rely upon these devices. Regulators and private litigants are increasingly focused on those questions as well, raising the stakes for businesses as they take on such key challenges as accurately assessing the risks these devices may pose, managing sensitive data from IoT devices, and responding to cyber incidents that target these connected devices. 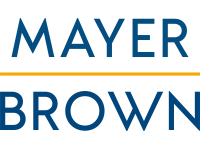 Please join Mayer Brown lawyers Kendall Burman, Stephen Lilley, and Joe Pennell as they address key issues for businesses as they manage cyber risk and navigate data privacy challenges with respect to IoT.